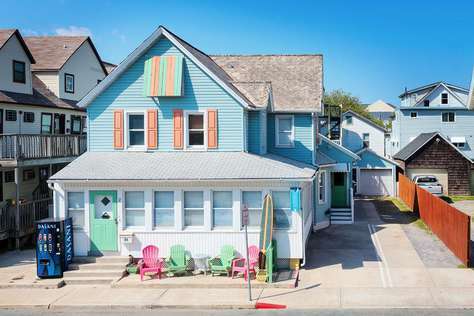 Perfect for large families or groups this apartment (Unit #1 at The Beach House) makes up the entire first floor of our home on Talbot St and includes 4 bedrooms and 3 baths for a maximum sleeping capacity of 12 guests. Also included is a large kitchen, private rear deck, and parking for 4 cars. 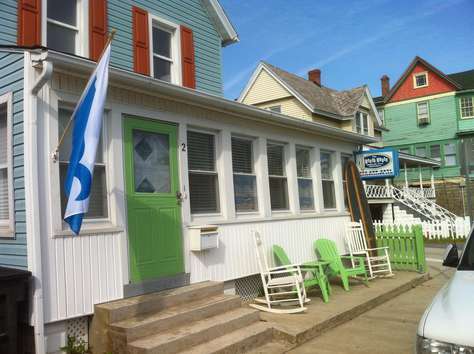 Located in downtown just a short walk to everything OC has to offer this is one of the best locations in Ocean City. This apartment (Unit #2 at the Beach House) makes up the second floor of the home on Talbot St, and is a spacious 1 bedroom 1 bath apartment. It has reserved parking for one car, a full kitchen, nice sized living room, and large bedroom making it a very comfortable unit. 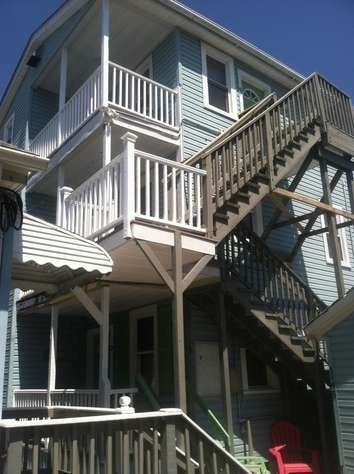 Located in downtown just a short walk to everything OC has to offer this is one of the best locations in Ocean City. From Memorial Day to Labor Day it is rented by the week, from Saturday to Saturday only. Please visit beachhouseoc(dot)com for specific pricing, availability and more. This apartment (Unit #3 at the Beach House) is located on the first floor of the apartment building on Talbot St and is a small 2 bedroom 1 bath unit. It has a combination living room / kitchenette as well as a small front porch. Included is one reserved parking space about one block away. From Memorial Day to Labor Day it is rented by the week, from Sunday to Sunday only. We have other identical units so please inquire about those if your dates are not available. 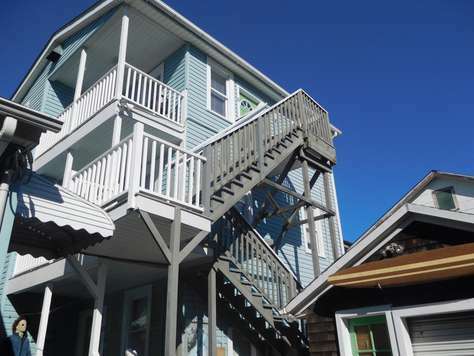 This apartment (Unit #4 at the Beach House) is located on the second floor of the apartment building on Talbot St and is a small 2 bedroom 1 bath unit. It has a combination living room / kitchenette as well as a small front porch. Included is one reserved parking space one block away. This apartment (Unit #5 at The Beach House) is located on the third floor of the apartment building on Talbot St and is a small 2 bedroom 1 bath unit. 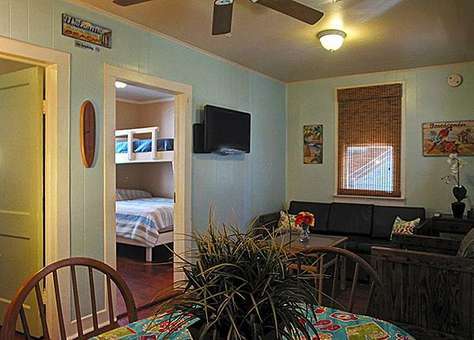 It has a combination living room / kitchenette as well as a small front porch. Included is one reserved parking space one block away. The firs and second floor of the apartment building are identical units with just different bed configurations. If your dates arent available or your prefer a different floor please just contact me.